Employers constantly work to cut health insurance costs without cutting employee health benefits. Soaring prices for medical services, costly prescription drugs and unhealthy lifestyles contribute to increasing premiums. There are strategies to keep health insurance costs from consuming company profits, while providing employees with health benefits. Use emergency rooms only for emergency situations. According to the Health Care Cost Institute report, the average cost of an ER visit is $1,917. 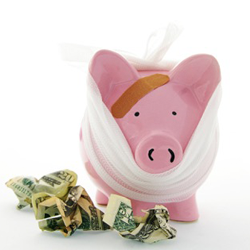 The average cost for a visit to Direct Orthopedic Care for any musculoskeletal injury or condition is $258. So a company program that preempts 25 unnecessary ER visits can save $50,000. Management needs to understand and inform employees about where to go for appropriate care based on the injury, illness, disease, or chronic condition. Discount drug programs from chain pharmacies can reduce prescription costs. With internal education, a few employee meetings, signage, and constant reminders of preferred pharmacies, prescription drug costs may be dramatically reduced. Health, wellness and disease management programs are effective ways for employers to promote workforce health and well-being. According to a 2012 Gallup State of the American Workplace study, “Employees with high overall well-being have 41% lower health-related costs….” These programs can help to reduce absenteeism, improve employee productivity, decrease workers’ comp claims, increase employee retention, and enhance employee morale. An added incentive for participation or reaching goals increases workforce engagement in wellness programs. An incentive program motivates employees away from negative behavior. Some programs provide free health club memberships, iPods or pedometers to employees who join and reach achievable goals in a company wellness incentive program. Achievable goals may be maintaining a healthy BMI, keeping blood pressure in check, losing weight, or quitting smoking. In 2016, healthcare costs were $3.3 trillion, $10,348 per person. ER treatment accounts for one-third of all healthcare costs in the U.S. Educating employees to choose the appropriate healthcare provider, which is not always the ER, a pharmacy with lower prescription drug costs, and to participate in company wellness programs can improve the workplace environment and lower healthcare costs and insurance premiums.